PolyOne Corporation, a specialized polymer materials supplier based in the US, will realign its North American manufacturing assets in connection with its March acquisition of Spartech Corporation, a producer of engineered thermo plastic sheet, polymeric compounds, and engineered products. Over the next several months, PolyOne will close six manufacturing plants and relocate production to other facilities. These actions are expected to be completed by the end of 2014 and generate annualized pre-tax savings of approximately US$25 million in 2015, according to the company. 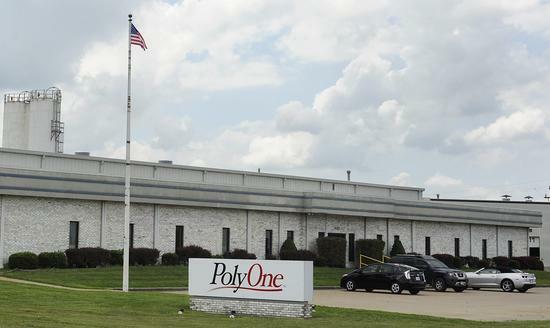 Production at the closing North American facilities will be shifted to other PolyOne locations, and these actions are expected to result in a net reduction of approximately 250 employees. “While the business case for these actions was clear, we understand the impact this announcement will have on affected employees, their families and local communities, and we will handle these moves with great sensitivity and dignity for everyone affected,” Mr. Newlin added. PolyOne expects to recognize estimated charges of US$35 million related to this realignment over the next 12-18 months. This includes approximately US$20 million in cash charges, primarily associated with severance and asset relocation costs, and approximately US$15 million in non-cash charges, primarily associated with accelerated depreciation of exited facilities and equipment.